Kyle Abbott has managed to ensure that Phlander won't equal George Lohmann's record for the fastest to 100 wickets. He became the third South African to take a five for on debut in the last 16 months. South Africa have wrapped up another match. In their last 15 matches, South Africa have 10 wins and 5 draws, with 4 innings victories. 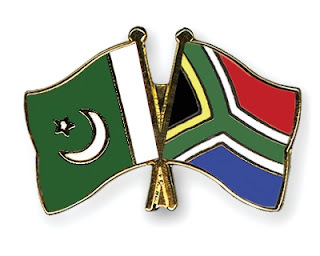 In the second innings Pakistan put up a reasonable fight, but South Africa took two bursts of wickets, 4 from overs 38 to 49 and then 3 from overs 64 to 70. It's their ability to tae wickets in bursts that has made them the best team in the world.